Mobile towers in residential areas - harmful or not? Group Discussion Ideas > General GD Topics > Mobile towers in residential areas – harmful or not? Mobile towers in residential areas – harmful or not? Popularity of mobiles and wireless communication devices has resulted in easier life. 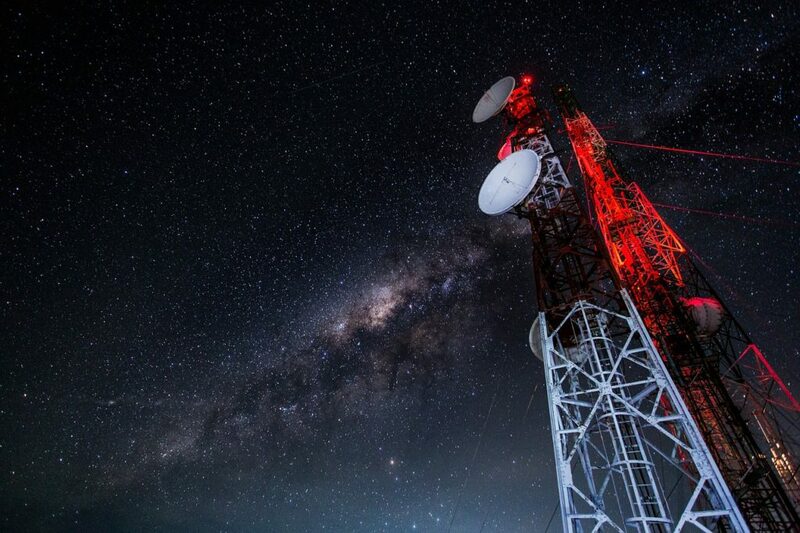 For the better network accessibility, number of mobile towers is hiking. With more number of towers in residential areas, questions on whether it is safe or not are also rising, making the subject highly debated. Some researchers states that having mobile towers in residential area is harmful for health of humans as well as for other animals and birds. But there are also others that think otherwise. Mobile phone towers make air toxic. There are indicative studies to prove that the electromagnetic radiation is harmful to the people living in the 300 meter radius of the towers. According to established norms, the radiation level of 600 milli watts per meter square (mw/m. sq.) is considered safe. But mobile phone towers emit electromagnetic rays above the safe limit. The telecommunication companies and service providers pay rents upto Rs. 30,000 or sometimes more when competition is high among them, for the installation of the towers. This is good source of income for the property owners and institutions. Several times, while setting up the towers on buildings, the norms for safety are ignored, carelessly keeping the lives of people at danger. Some cell phone companies set up unauthorized towers ,also called as “camouflage towers”, which looks like a palm tree, street light, chimney or water tanks. These are illegal and does not follow any norms to be followed since they are unauthorized. The electromagnetic radiation poses grave health risks including memory loss, lack of concentration and digestive disturbances. The electromagnetic radiation are like microwave to the humans living close to it. This causes several ill- effects on the health. These effects are divided into two groups- thermal and non thermal. The thermal effects are like cooking in the microwave oven. they could cause fatigue, cataracts and reduced mental concentration. Not only the people living near to the towers are affected,but also the people who are at a distance from the towers. There is non- thermal effect which includes ill effects on cell membrane permeability. Children, adolescent and pregnant women are at maximum risk. The younger the child, the deeper is the penetration of the radiation due to the fact that children’s skulls are thinner. Same is the case with pregnant women who carries underdeveloped child. These radiations not only affects humans but also the birds, butterflies,insects and sparrows. The great decline in numbers of these creatures have been observed, specially in the urban areas. While urbanization is major factor involved, the radiation is adding fuel to it. Due to radiation, shells of the eggs of the birds and insects are getting thinner. These waves also interfere with the senses of the birds to navigate. Radiation of mobile towers is insignificant with small area covered. It’s frequency is minute, hence there is no need to worry about health hazards. The proper authorization of the mobile towers is a must nowadays due to the strict rules directed by the government. A large number of unauthorized towers have been sealed over last few years and people responsible are fined heavily. Moreover to set up a authorized tower, one must follow the norms decided by the law, which covers the safety of people. India has adopted the limits for the electromagnetic radiation accounting all biological effects of radiation.In fact, the limits set by India are much lower than the internationally adopted recommendations of the ‘International Commission on Non Ionising Radiation Protection’ (ICNIRP), which account for thermal and non-thermal effects. Stringent measures are being taken against unauthorized installation of the mobile towers. Also research is going on to decide whether the reports of health problems are due to EM radiation or not. This will help greatly to clear the air and bring forth the truth. Technology, if not kept under check, tends to harm. Same is applied to the mobile towers. When kept under control and installed strictly following the norms, mobile towers could be quite beneficial and least harmful. Radiation from mobile towers have even less effect if their transmission power and area is kept low. Besides, the communication technology has become an important part of our lives. But it is necessary to keep it in limits, in order to ensure our good health. Afterwords:- Do you support installation of mobile towers in residential areas? Express your thoughts on this topic in the comment section below. Nowadays we are very much dependent on mobile and as a result our life is getting very easy I e we required good connectivity from our service provider. Service provider wants to set up mobile tower and sometimes they avoid the norms and some of the people they want to give rent to the service provider because they will get good rental. But they don’t think it is very harmful for human body as well as trees , animals etc. Because of mobile tower in the trees fruits are getting dried up and impact comes to animals and birds , birds egg shells getting thinner and sparrows are getting vanished .It impact comes to human body. People should carefull not to allow service provider to set up a mobile tower and service provider also set up the tower as per govt rules because it is harmful for everybody. Iam from pondicherry. In our area the jio company had got permission for setting up tower. Our area is fully of residential houses with childrens n families. Help me by giving some tips to stop it friends. There is an argument that , if maintained within specified norms they are safe. But we know how the enforcement works in India. They will breach all the norms, by suitably bribing the right people. Finally we will be running pillar to post to get it resolved. Better be safe and keep them away. Pls don’t do the installation of the towers as it is harmful for the health.it emits high levels of radiation causing cancer.we should not encourage the phone people to install their towers in residential areas. It is against the govt rules.it has to be installed only in green belt areas,commercial areas and areas far from residential areas,hospitAls and school areas.imagine a pregnant lady gets affected by the radiation of these towers.technology should not rule humans.health is important than everything.health is precious. not effect to me but also my family members in locality people and even also birds trees environment also.